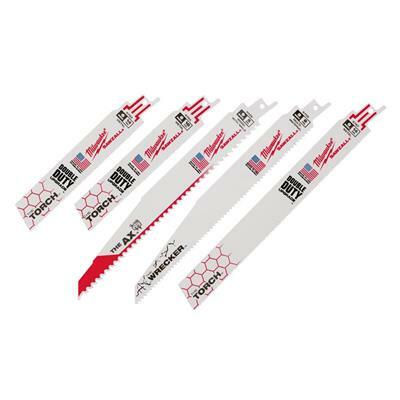 The Milwaukee 49-22-1105 5 piece Demolition Sawzall® blade set features an assortment of our most popular demolition blades for a broad range of professional applications. 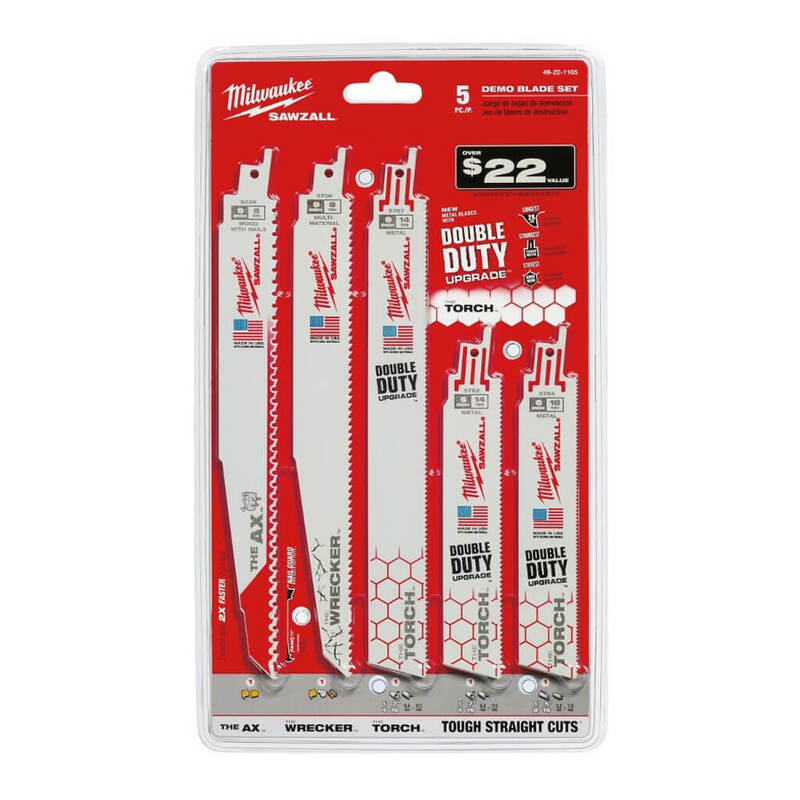 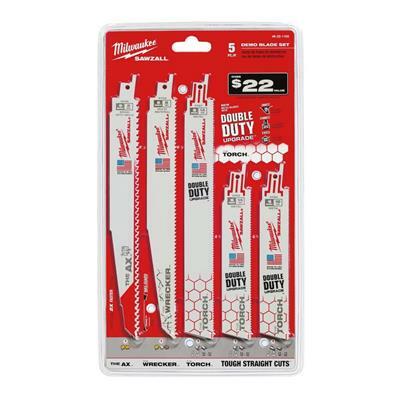 Milwaukee® demolition blades are thicker for maximum durability and taller for straighter cuts. 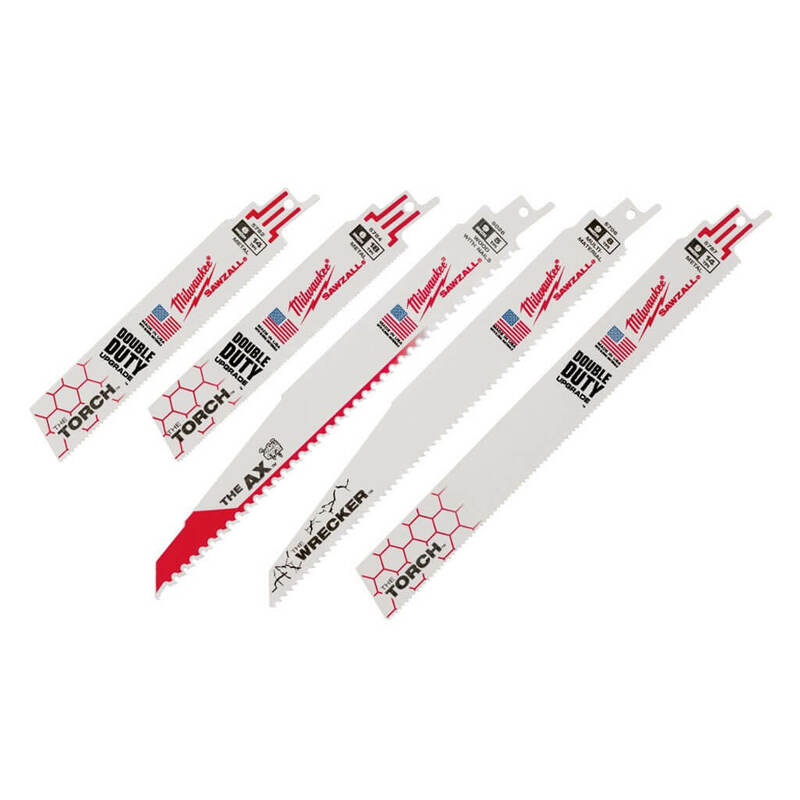 The set features The Ax™ for cutting nail embedded wood, The Wrecker™ for multi-material demolition cutting, and The Torch® for metal cutting.